Update: Since publication it has been noticed that the Koryolink logo faces the other direction, as well as includes an extra line around the horses lower neck. As such, it is not clear if the logo signifies Koryolink on this taxi. North Korean cellphone network operator Koryolink appears to have started a Pyongyang taxi service, pictures taken in early October show, a development that would make it the fifth confirmed operator in the capital city. The logo of Koryolink, which is 75% owned by Egypt’s Orascom Telecom Media and Technology (OTMT) company, can be clearly seen adjacent to a Korean “taxi” sign mounted on the vehicle’s roof, a picture of the mini-van shows. It also includes the number ten in the corner of its windscreen, suggesting the fleet contains at least ten vehicles. 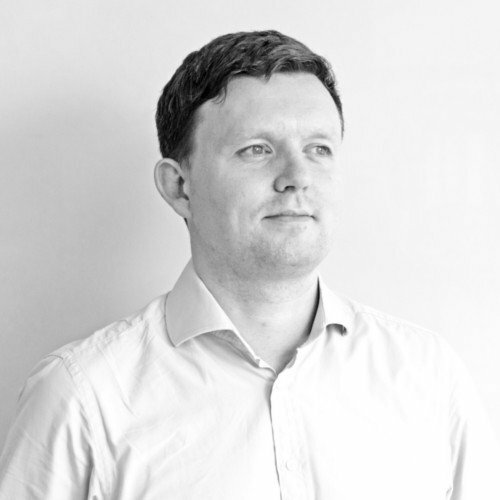 “It seems like this is one of those new ways to make some money,” said Simon Cockerell, general manager of Koryo Tours, about the company’s possible entrance to the market. The Pyongyang taxi market has grown sharply since 2013, when hundreds of Chinese-made ‘Beijing’ taxis were imported to the country to replace a fleet of vintage Volvo taxis that had previously formed the backbone of the city’s service. The introduction of the ‘green and yellow’ fleet was soon followed by the appearance of taxis featuring the logos of Korea Kumgang Group (KKG), Air Koryo, and the Masikryong Ski Resort. 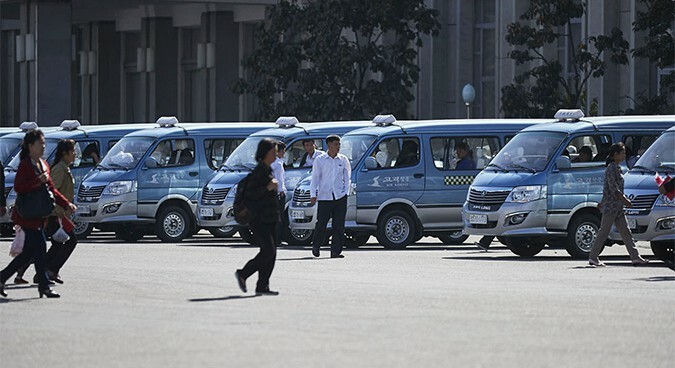 But other companies are likely operating taxis in the city, given the appearance of at least seven different liveries in cars analyzed by NK News. It is possible that Koryolink, cash rich, is in search of investments. Orascom announced in 2015 that it was unable to repatriate hundreds of millions of euros of Koryolink profit due to currency transfer restrictions implemented by the government, meaning Koryolink could have significant capital available. 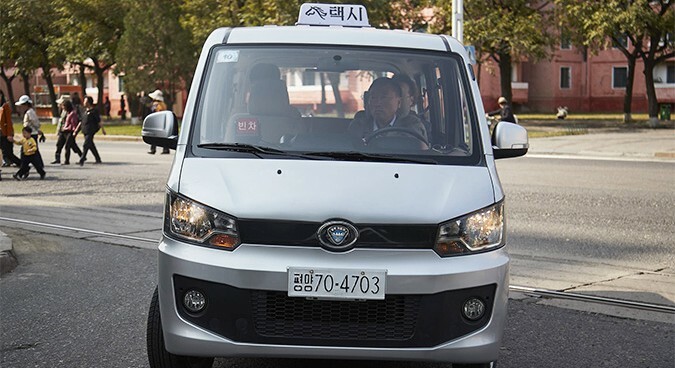 Koryolink’s possible entrance into the taxi market would suggest the company is following in Air Koryo’s footsteps to diversify its service range. The airline joined the industry last year, providing a shuttle service to and from the airport, as well as intra-city service, according to brochures and testimony from residents. “It seems the taxi business is a good model case for opening up a partial market in North Korea,” a regular visitor, who requested anonymity due to the sensitivity of talking to media, told NK News. “I guess when it became clear that the business runs well, more and more wanted to get their share,” the source added. North Korean media has not yet reported on the growth of the Pyongyang taxi industry.